Want to provide the best customer service? Of course you do. So take the LiveHelpNow Challenge and see how you stack up against the competition. The monthly winners of the LiveHelpNow Challenge stand tall. The customer service provided by their agents is the best in their industry—and we can prove it. Businesses that display the Best Customer Service medallion offer quantifiable excellence in customer support. Our winners go to the mat for their customers – and come out on top by delivering high quality support. We use 50 different criteria to create the 12 metrics that define our Challenge winners. Are you on the list? 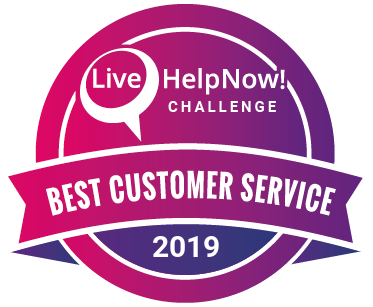 Meet the winners of the LiveHelpNow customer service Challenge.